Home > Mortgages > Do I Need a Cosigner? So you’ve just applied for a new apartment, but the leasing office tells you that you’ll be needing a cosigner in order to sign your lease and move in. Why is this happening? Let’s explore the ins and outs of having a cosigner. A cosigner is a person who has agreed to take responsibility for your payments in the event that you default on a loan or do not pay your rent. Your cosigner will then be legally liable for making these payments, and not doing so could cause long-term damage to their credit as well. Since banks and landlords know these people are financially responsible, they will accept cosigners to ensure they are paid. But, why might you need a cosigner? When you apply for a loan, apartment, or mortgage, the lender or landlord takes two major factors into account: your income and your credit report. If your reported income or credit score are below a set threshold, a lender or landlord will usually require you to find a cosigner. This provides them with peace of mind about lending you money or allowing you to move into one of their properties, because it lowers the risk of default. Credit scores exist on a scale, usually ranging from 500-800, or sometimes as high as 900, depending on the formula used. Any score above 700 is generally seen as a good credit score, but many factors can affect this number. If your score is below 700, and your income isn’t sufficient, you may be asked to get a cosigner. Income is a major factor in determining your need for a cosigner. For example, when you rent an apartment, many property management companies require that your rent not cost you more than one-third of your income. If the lease you want to sign exceeds that amount, they may ask you to find a cosigner. Who Can be my Cosigner? Pretty much anyone in good credit standing can be your cosigner, but you should be careful who you ask. Family members are usually a good place to start, especially for young adults who wish to take out private education loans or move into their first apartments. Be warned, however, that defaulting on a loan can cause irreparable damage to your relationship with your cosigner. Can I avoid taking out this line of credit? If you can avoid taking out the line of credit altogether, then you should do so until you are in a better financial position and can qualify for it on your own. Can I wait to take out this line of credit? If you can’t avoid taking out the line of credit, can it be put off for a few months? If so, there are many things you can do to repair your credit in the meantime, and perhaps avoid having to ask your Uncle John to be your cosigner. 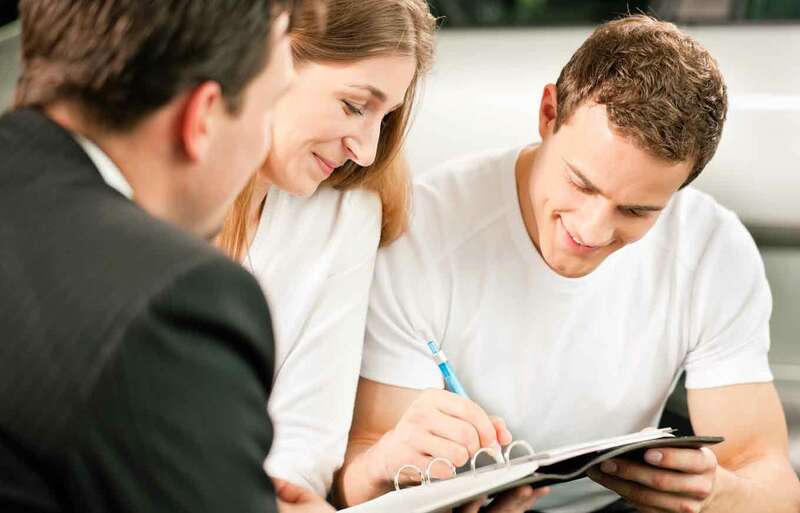 How Can I Repair my Credit Sufficiently so I Don’t Need a Cosigner? An easy way to increase your credit score is to pay down some outstanding debt. If you have credit cards with small balances, pay them off if you can. It may seem counterintuitive to open MORE credit if your credit is lacking, but opening up a card with a very small limit can help you in the long run, provided you pay it off every single month. That’s because it lowers your debt utilization ratio. Maybe you can put one tank of gas on this card every month and pay it off as soon as the statement arrives. A second job would definitely give you a boost in income, possibly eliminating the need for a cosigner because it increases your debt-to-income ratio. If you have generous parents, grandparents, or aunts or uncles with good credit, consider asking one of them to add you to a long-standing credit card (as opposed to becoming your cosigner). They don’t have to actually give you a card, but it will still show up on your credit report, giving you an almost-immediate boost. If you do end up asking someone to cosign on a loan or apartment for you, there will come a day when you can release them. Each lender or landlord will have different requirements for releasing a cosigner, but it can usually be done after a period of time, provided your account has remained in good standing, and your payments are all made in-full and on time. When you sign the paperwork for your loan or lease, there may be a provision for dropping the cosigner, which you should do as soon as possible. If there is no provision, ask your lender about it. If they cannot allow you to drop the cosigner, and that’s something that is important to you, you may need to find a new lender or explore eventual refinancing options down the road. So, when you are ready to apply for a loan or new apartment, and you need a cosigner, you now have a better idea of what that means, both for you and for the person agreeing to be held legally responsible for your outstanding debt. For more information about repairing your credit to avoid having to ask someone you love to be a cosigner, visit www.credit.com, where you can also get a free credit report. If you’re concerned about your credit, you can check your three credit reports for free once a year. To track your credit more regularly, Credit.com’s free Credit Report Card is an easy-to-understand breakdown of your credit report information that uses letter grades—plus you get two free credit scores updated every 14 days.